Digging holes and pouring concrete piers is hard work, but building the frame and laying the decking is straightforward, even enjoyable. 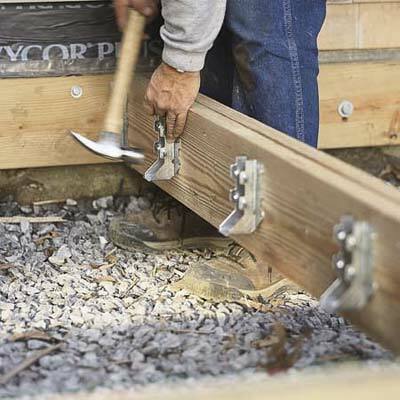 If you’ve always dreamed of building your own deck, but were hesitant to tackle such a large, complicated construction project, we’ve got some good news. 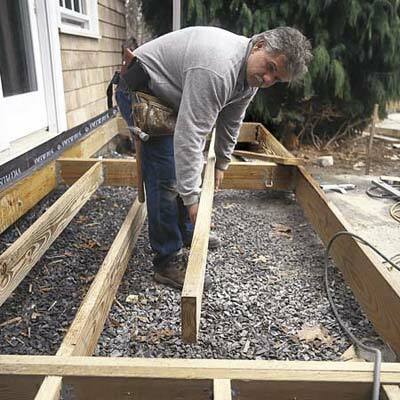 We asked This Old House general contractor Tom Silva to demonstrate the proper techniques for building a small, simple on-grade deck. All you need are some basic carpentry tools and the desire to invest a little sweat equity. 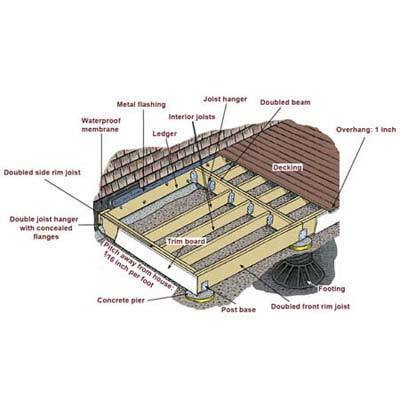 The deck shown here features a pressure-treated floor frame that’s supported by a ledger board and concrete piers, and topped with 5/4-inch decking. And because the deck is only a one step high, no railing was required. Now just follow Tom's tips and build your own backyard oasis. It’s a great way to make your neighbors jealous. Mark the exact location of the top of the ledger. 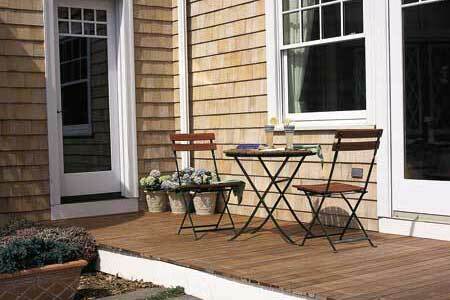 (By code, any step down to the finish decking, which sits atop the ledger, must be 4 to 7 3/4 inches below the door sill.) Snap a level chalk line. 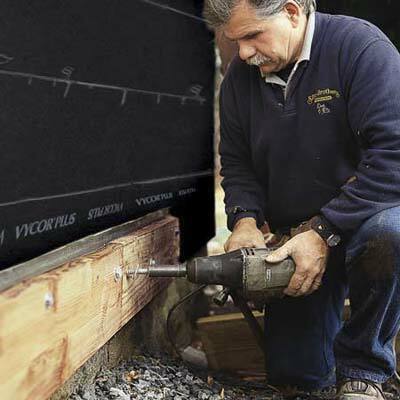 Drill a 33/8-inch pilot hole through the ledger and into the house’s rim joist at each spacer, following a zigzag pattern (see “Anatomy,” left). 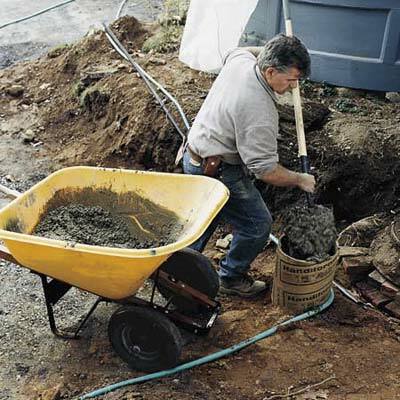 In each hole insert a ½-inch lag screw and tighten it against a washer using an impact wrench or socket wrench. 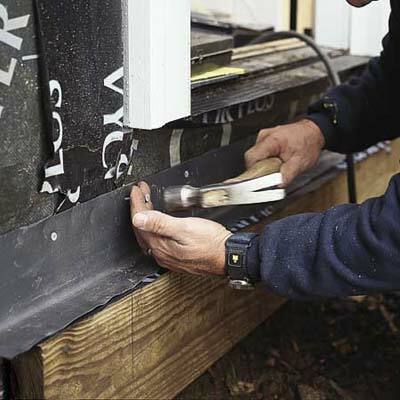 Drive roofing nails through the flashing’s top edge every 8 inches. 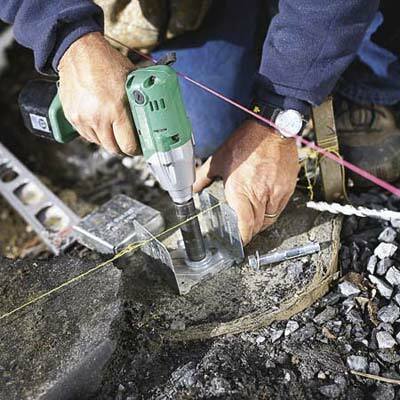 Assemble footing and pier forms according to the manufacturer's instructions, then position one in each hole. Gently backfill. To determine each pier's finish height, run a level line from the top of the ledger to the pier tube. From this line, measure down 1/16 inch per foot of the pier's distance from the house, plus the height of the rim joist and post base. Mark the form at this point. Repeat for each pier. Trim pier tubes at these marks. Fasten concealed-flange double joist hangers on the ends of the front rim joist’s inner 2xs. Then fit the inner 2xs into the post bases. 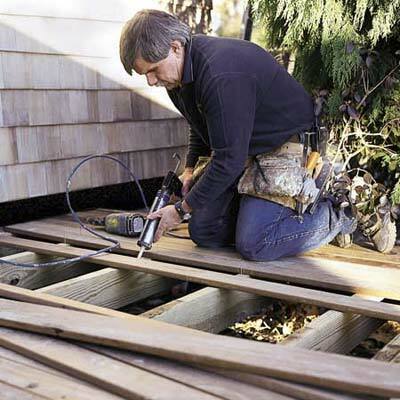 Replace the house’s siding to within ½ to 1 inch of the decking.